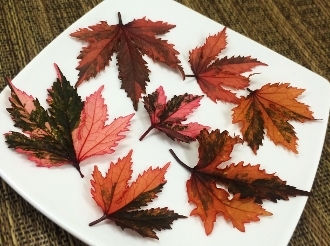 Pink & maroon varigated leaves, with a look similar to maple leaves. Juicy, tart lemony flavor. Garnish specialty cocktails. Use as a beautiful bed for scallops and shrimp.